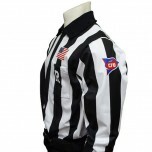 Football referee jackets for rain and cold are slowly being replaced by long sleeve shirts that have heavier weight, lower profle fabrics. 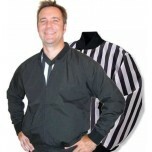 Choose from these style shirts and referee jackets. For more items to keep you warm on the field, look under Football > Clothing & Apparel > Cold Weather Accessories. Best in class. Keeps you warm and cool. Love it for cold weather. Great product. Looks better in person than it does on the computer screen. Service was easy and tremendous. I would recommend using Ump-Attire.com for all of your officiating needs.